The fact that it’s been seen around Michigan in a left-hand-drive configuration — and in close vicinity of a McDonald’s, no less — seems to suggest that the Ford Ranger Raptor is going to be a thing that melts American faces here before too long. In the meanwhile, the high-performance variant of Ford’s midsize pickup is offered in markets like Australia with an all-new 2.0-liter Bi-Turbo diesel, which one might logically assume won’t make the leap if the Ranger Raptor indeed comes stateside. Trevor Worthington, vice president of Product Development for Asia Pacific at Ford, might beg to differ. Worthington spoke with Australia’s CarAdvice, suggesting that there aren’t any plans for a V6-powered Ranger Raptor because it’s simply not a thing that people want. What? It’s important, of course, to couch these comments in the fact that Worthington is speaking not just for his region, but for markets in which the Ranger is currently offered. The 2019 Ford Ranger is set to arrive in the United States within the next few months, and while a Ranger Raptor has been spotted undergoing testing, it likely wouldn’t bow until the 2020 model year at the absolute earliest. 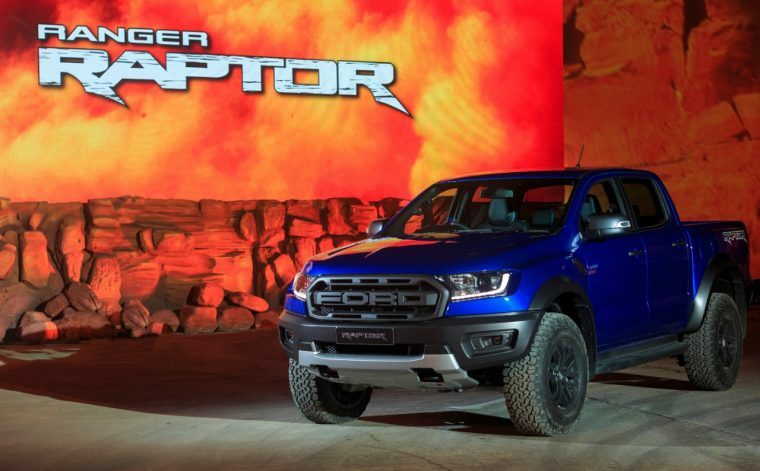 If it does make the leap to the United States, the Ranger Raptor would almost certainly get an engine other than the 210-horsepower diesel. The popular choice would indeed be the 2.7-liter twin-turbo EcoBoost V6, which puts out 335 horsepower and 380 lb-ft of torque for the high-powered 2019 Ford Edge ST.